Statoil Petroleum AS, operator of production licences 120 B/Gimle Unit, has completed drilling of an observation well with exploration targets, 34/10-C-18 A.The well was drilled on the eastern flank of the Gimle field, which is located between the Gullfaks and Visund fields in the northern part of the North Sea. The objective of the well was to prove petroleum in Middle Jurassic to Upper Triassic reservoir rocks (Brent Group, Statfjord Group and Lunde formation). 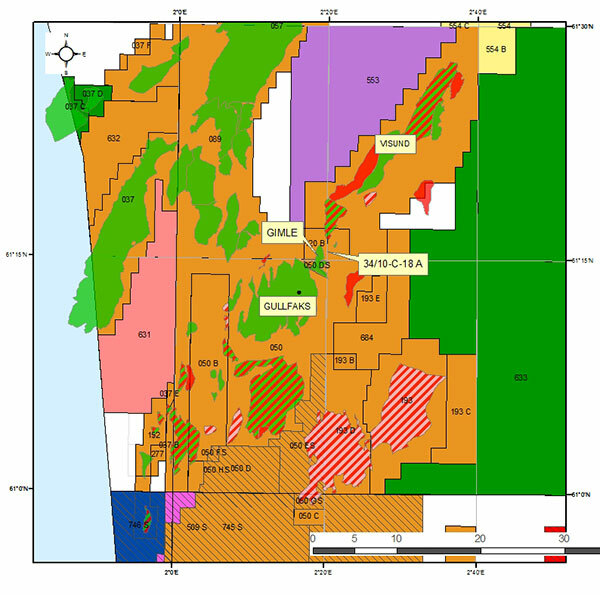 The well was drilled at an angle and encountered petroleum in the Brent Group, Statfjord Group and Lunde formation with reservoir sands of presumably good reservoir quality. Preliminary calculation of the size of the discoveries totals between 0.2 and 1 million m3 of recoverable oil equivalents. The discoveries will be considered for tie-in to the Gimle field. The well was not formation-tested and limited data acquisition was carried out due to technical issues in the well. 34/10-C-18 A was drilled to a vertical depth of 3023 m below the sea surface, with a measured depth of 8501 m and was terminated in rocks presumably belonging to the Lunde formation. Water depth at the site is about 220 m.
Well 34/10-C-18 A was drilled from the Gullfaks C platform. The well was plugged and abandoned, and was then side-tracked as development well 34/10-C-18 B in Gimle. 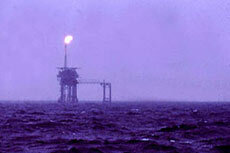 Lundin Norway is about to complete drilling of appraisal well 16/1-18 on the Edvard Grieg oil field in the North Sea. 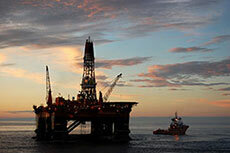 North Sea – hope for declining production? Douglas-Westwood: Western Europe will continue to rely on Russian gas into the 2020s as mature provinces struggle for growth and shale gas remains unlikely. Tullow Oil SK Limited has entered into an agreement to sell controlling stakes of assets in the UK Southern North Sea to Faroe Petroleum.